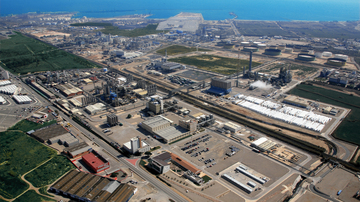 Refurbishment of the cogeneration plant of GRIFOLS, S.A by the replacement of its gas engines, the heat recovery steam generator (HRSG) and its electrical system. 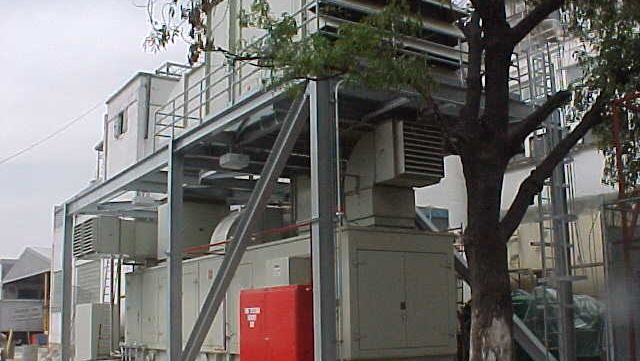 The existing absorption chiller remained because its design allowed the introduction of hot water from the new gas engines. Engines’ exhaust gases are used for steam generation and the heat from engines’ high temperature (HT) cooling circuit is used for the production of cold water, hot water for heating, DHW and heat for the evaporative concentrators. 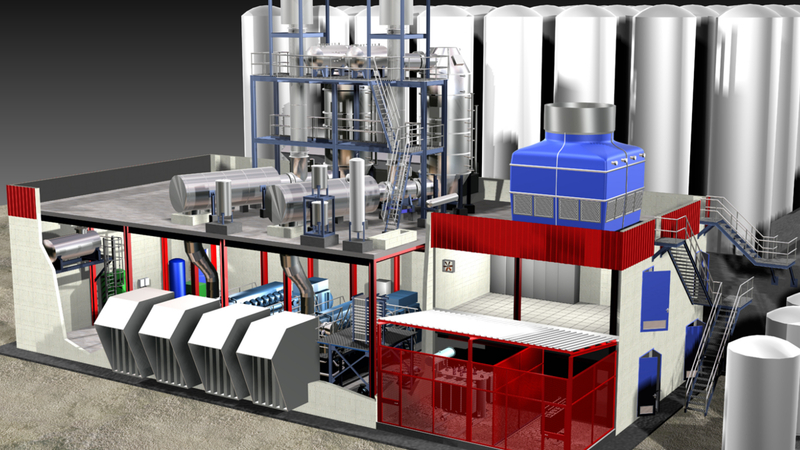 The plant is based on a simple cycle with two gas engines, which have a total power of 6.088 kW (on site conditions). The heat recovery system from engines’ exhaust gases is composed of two by-pass, each one located at the exhaust gases outlet of each engine, and two separate water-tube heat recovery steam generators, located in parallel lines after the respective exhaust gases bypass (each HRSG receives the exhaust gases from one engine). Each HRSG has an economizer with a thermal power of 1.434 kW, producing steam at 10 bar-g with their own drum. 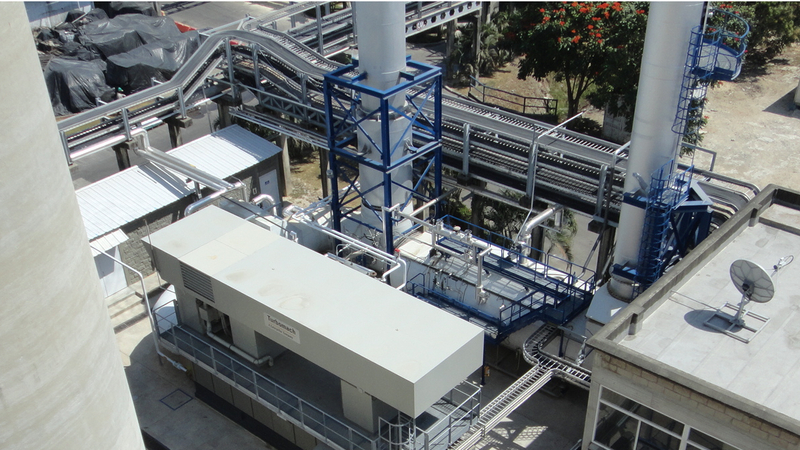 There were also installed two heat exchangers (one with 1.670 kW capacity for hot water production for heating and other of 2.278 kW for the PEG evaporative concentrators) that use part of the hot water from engines’ HT circuit.